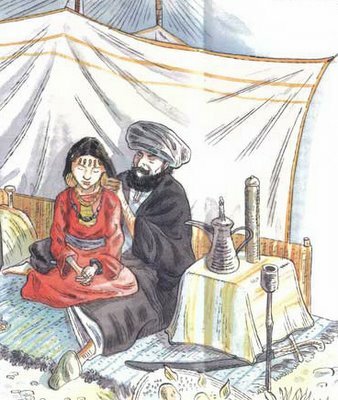 Shariah and Women in Yemen, Early marriages ruining young girls lives. Arrived veiled, surrounded by two women from the left and right. Once she saw her mom, she simply jumped into her arms crying, as she also hugged her uncle seeking protection. That veiled girl was Reem Al-Noumairi at the public prosecution along with her mother and lawyer Shatha Nasser suing her father and husband, accusing them of beating her and forcing her to get married, after the court had refused her divorce request three weeks ago. Reem is a 12-year-old who went to court on the 7th of July in Sana’a asking for a divorce from her 31-year-old cousin to whom she was married to by force by her father, almost two month ago. Yemen Post had the chance to meet both the girl and her lawyer as well as the mother at the public prosecution and followed the lawsuit filed against Reem’s father and husband. Reem is not only a victim of early marriage but also a victim of a family break up. How was such a little girl suddenly a married woman in a span of less than an hour? Reem starts telling her story to Yemen Post. “My parents got divorced almost three months ago and the first thing I remember after their divorce is that I chose to stay with my mom and my little brother chose to stay with my father. I live with my mother in a building in a small apartment in Sana’a, and that day (when I was kidnapped from my dad) Reem says, “My little brother called me to come down the stairs of the building, claiming that we would have lunch with our father. The first thing I saw was my father holding my arms tightly asking me not to say a word, and that we are going to my grandfather’s house”.